This is the one I have, the blue one. Being somewhat of a cheapskate, I seldom spend the money on something that I think of as being unnecessary when there is a more economical choice on the market. As long as it isn’t a detriment to my horse, I don’t mind working a little harder or longer if it saves me money. I have always just bought a simple and cheap metal mane comb and been quite happy with it. 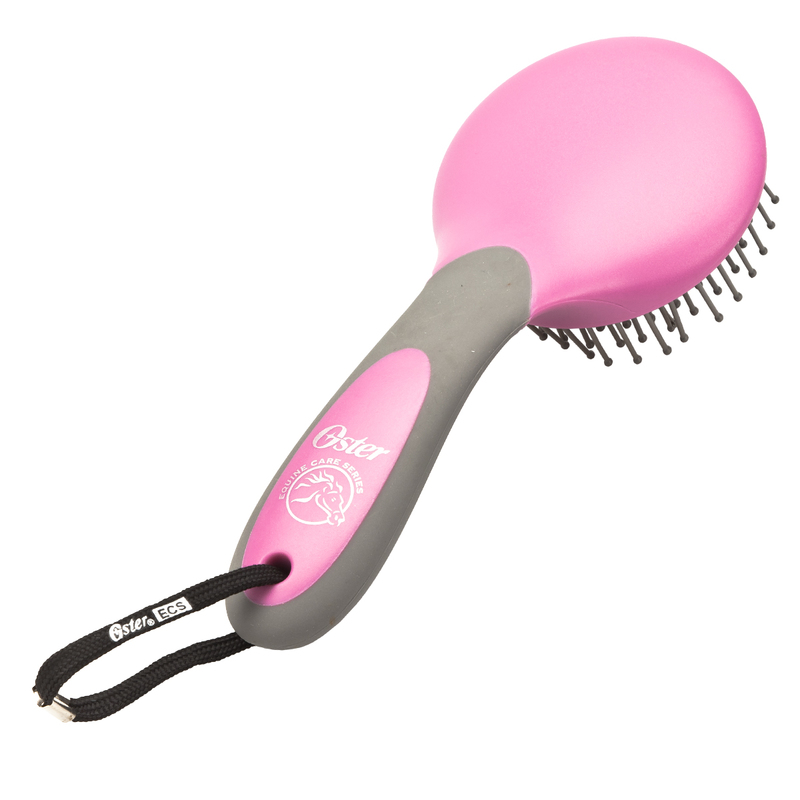 I was talked into trying the Oster Mane & Tail Brush by an acquaintance. I did not want to spend that kind of money on what I thought was a tool that, although it might have been better than the old fashioned metal comb, but couldn’t possibly be THAT much better. Not enough to be worth what I thought was a ridiculously high price of $10.95. She swore it was worth the money and even offered to buy it back from me if I didn’t like it. It was really hard for me, but I bought it, and I was sure I’d be asking her for my $10.95 back. I can honestly say this is the BEST mane and tail brush I have ever used! 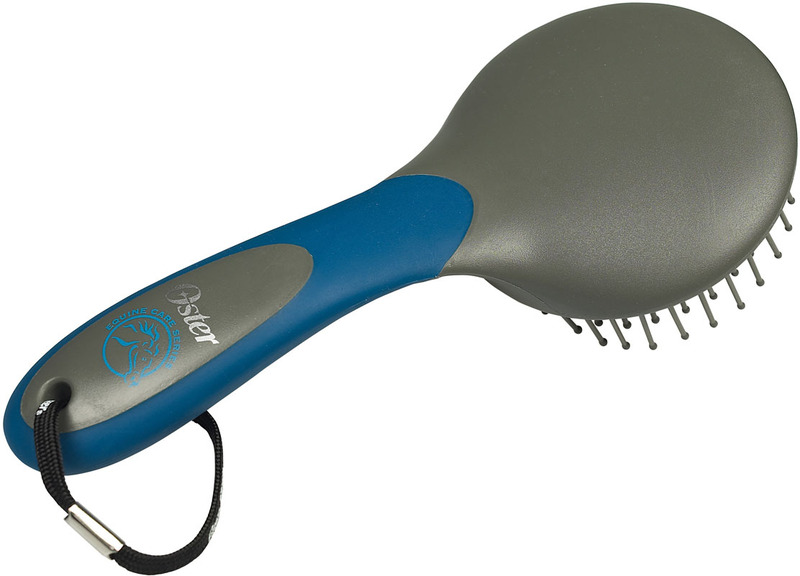 It’s great for untangling manes and tails quickly. Knots come out with ease without pulling out a bunch of hair. I have no idea how or why this brush works so well, but it does. It’s fantastic and I will never use another mane and tail brush again. 2016 Update: I still have the original brush I bought. It’s been maybe about 7 years now. It doesn’t look new anymore, but has stood the test of time. No broken bristles. My horse has even stepped on it and it didn’t break. Still my favorite brush. They range in price from about 8.00 to 13.00 now depending on where you get them. 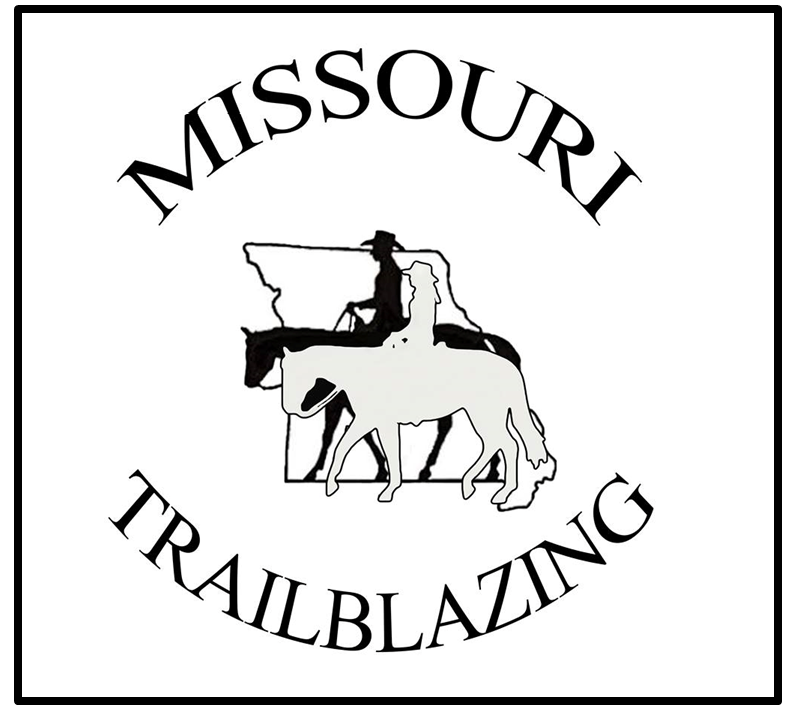 Buy this product, it IS worth it, and your horse will thank you! I can’t recommend it enough.